For over five years CIMA’s Greenest Insulation Blog has been sharing news and information posting stories about cellulose insulation, other innovative green products and trends in green building, the environment and energy efficiency. Occasionally there have also been fun ways to get involved for readers including challenging contests and opportunities to win everything from iPads to an Extreme Insulation Retrofit. 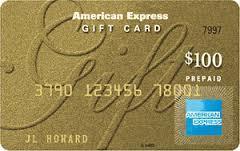 To celebrate the 100th post here on the blog CIMA is giving away a $100 American Express Gift Card. All current and new subscribers are eligible to win. Just become a subscriber by July 30, 2014 to automatically be registered. The winner will be announced right here on the blog and notified by email. Enter your email address in the box on the upper left column, click Subscribe and confirm using the link in the responding email. Notices will follow by email when a winner is announced and whenever new stories are posted. Good luck and thanks for following the Greenest Insulation Blog. One winner will be selected by random drawing from all qualifying subscribers on July 31, 2014. Potential winner will be notified via the email address used in the subscription and have 24 hours to confirm acceptance and provide a mailing address to receive prize, or an alternate winner will be selected. CIMA does not share or sell subscriber information to any third parties. This entry was posted in News & Information, Sweepstakes & Prizes. Bookmark the permalink.